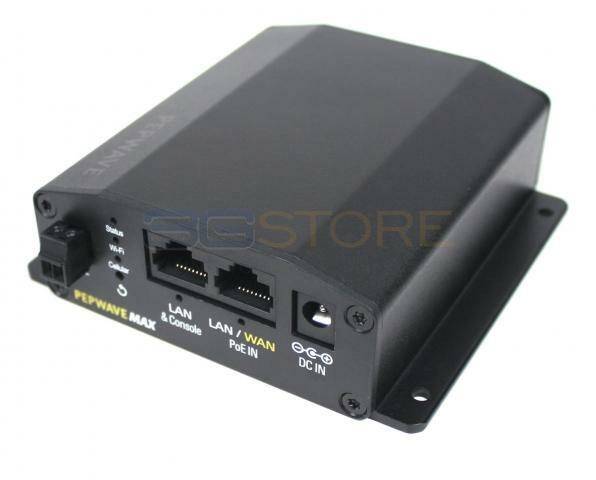 Congrats to Mark M. of Elgin, Texas who just won a $25.00 Restaurant.com gift code for writing a review for Pepwave MAX BR1 Mini with Embedded North/South America 3G/4G Modem at 3Gstore.com! Every week we randomly pick one product review from the previous week and award the writer a $25.00 gift code. We appreciate ALL the reviews our customers write, whether they are positive or negative - honest reviews like Mark M.\'s help other customers decide if the product is right for them. After you purchase a product from 3Gstore.com, we encourage you to log in and 3Gstore.com and leave a review letting people know how the product worked for you - you'll be helping others, and you'll automatically be entered to win a restaurant.com gift code!. I have used USB broadband devices in routers for years, but found that as I updated both Verizon and AT&T USB devices I was experiencing issues with compatibility and performance. While discussing my latest issue with the folks at the 3G store they recommended that I consider this router with an embedded modem. Up till now routers with embedded modems have been quite expensive, but this one seemed worth a try. I removed the SIM cards from my Verizon and AT&T modems, plugged them into the router, and I've been up and running ever since. Such a big improvement over the random disconnects and poor performance I was experiencing with the USB modems. Also this router offers a simple and robust connection to an external antenna, doing away with the fragile connectors on the USB modems.